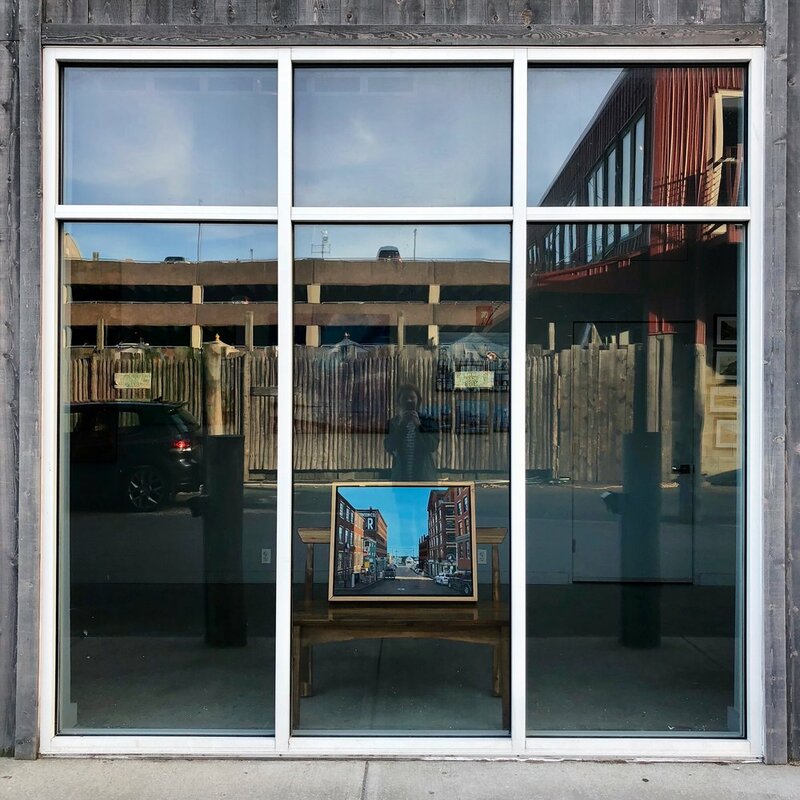 Ranging from scenes that reference the coast of Maine to the interiors of my childhood house, the subject matter of my work always seems to come back to my home in the Portland area of Maine. While I strive to create images with an authentically local perspective on this vacation destination, I don’t consider the actual scene depicted to be paramount when explaining the purpose of my work. Each subject I paint serves as a visual medium to explore various aspects of my personal painting style, which combines techniques from traditional realism with expressive, painterly sensibilities. This mixture of styles has been triggered by an overarching fascination with abstract nature of light and the way it inhabits a space. Through the use of photography as a reference, which I originally utilized to give myself the time to meticulously render detail, I have become intrigued by the patterns that emerge from light when it is forced to sit still, like in shadows and reflections. I also closely study the way light can dramatically affect the entire palette of an image, such as morning versus evening light, and natural versus man made. The environment of my life in Maine, both outside and in, provides countless scenes for me to examine the way light influences pattern and color, while maintaining a dedication to representational art.